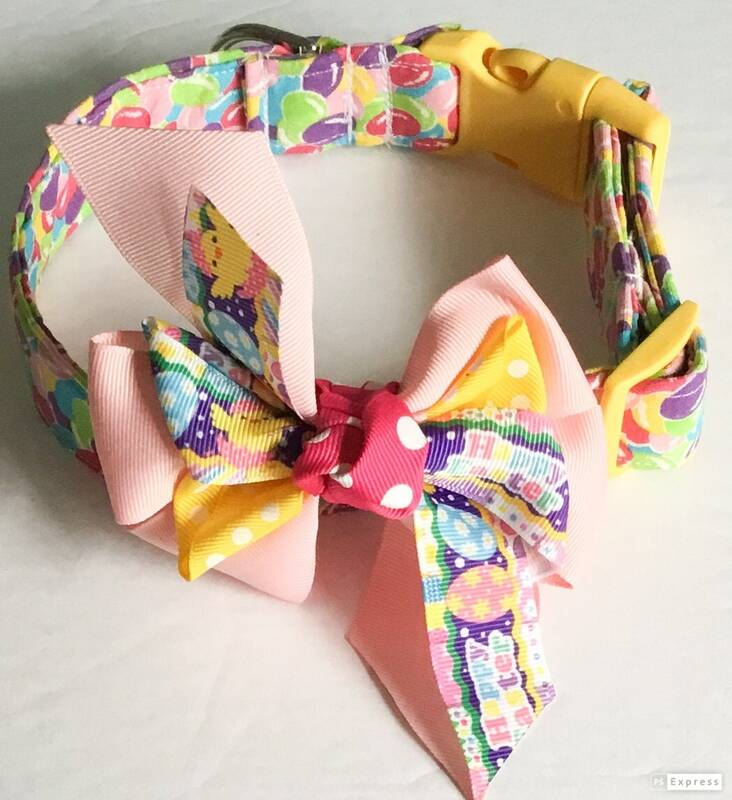 This Jelly Bean Easter Collar comes with an Easter Layered Ribbon Bow. The Easter dog and cat collar can be purchased either in a buckled style or in a slip over the head martingale style. A matching 5 ft leash and metal buckle upgrade are also available in the options when ordering. The bow attaches to the collar by way of wraparound velcro which is additionally supported by felt for longer lasting strength and durability of the bow.